Launch the MetaTrader 4 web platform right now to fully realize its convenience! Successful trading on financial markets begins with a comfortable and multi-functional trading platform. MetaTrader 5 is the best choice for the modern trader! MetaTrader 5 is an institutional multi-asset platform offering outstanding trading possibilities and technical analysis tools, as well as enabling the use of automated trading systems (trading robots) and copy trading. 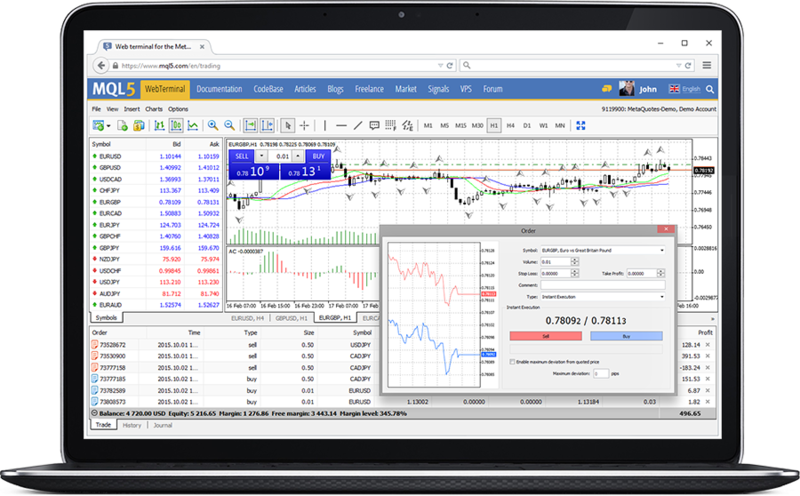 MetaTrader 5 is an all-in-one platform for trading Forex, Stocks, Futures and CFDs. Subscribe to a successful trader’s signal and your platform will trade automatically for you! Download MetaTrader 5 and experience the best of trading!